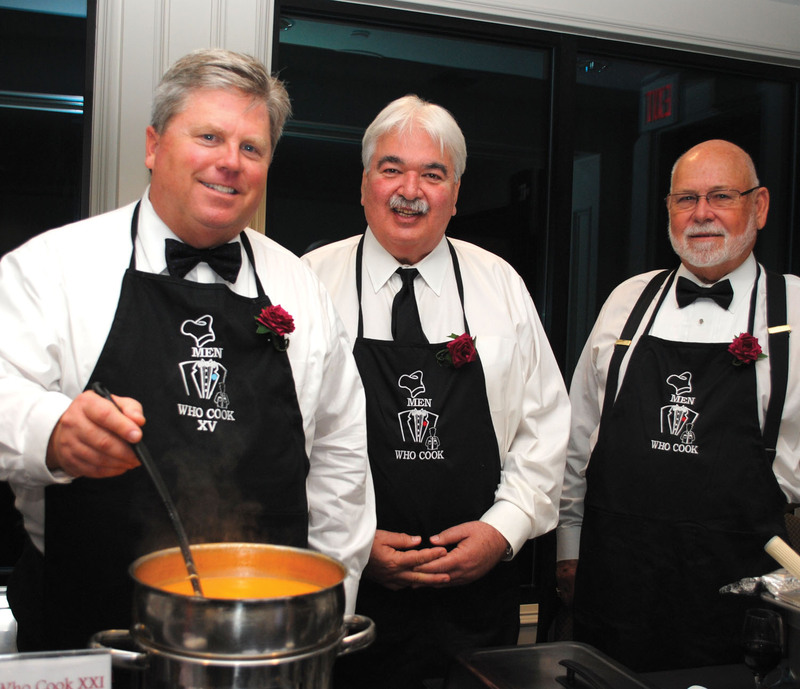 Trey Hafely, stirs his Lobster Bisque, as Rick Clapp, center, and Bobby Horton look on during the Seabrook Men Who Cook at Lakewood Yacht Club. 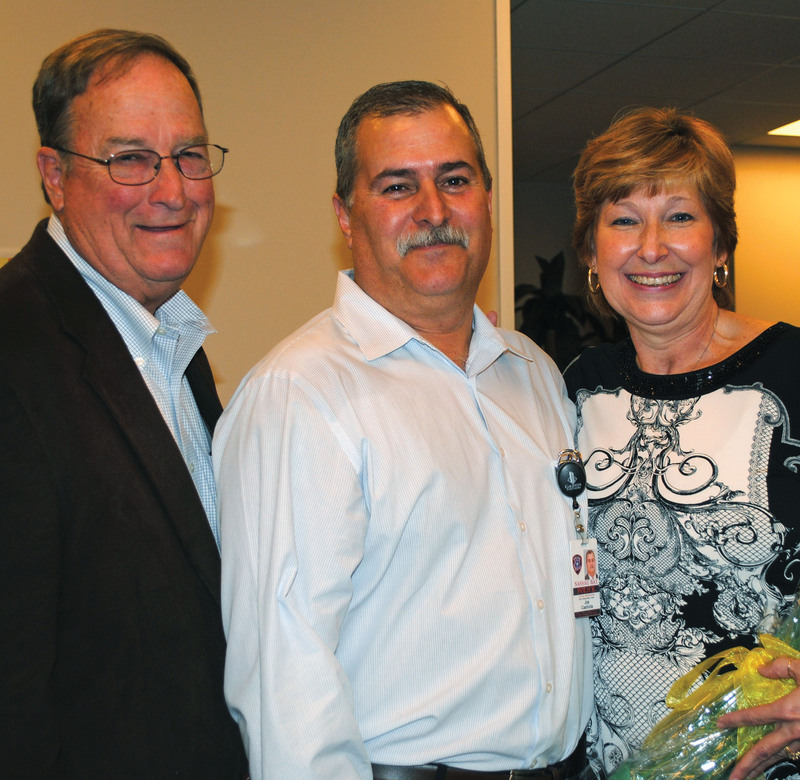 This is Hafely’s 13th year as a chef and Clapp’s 20th year. AS SPRING began blossoming out all over the area, many celebrated its early arrival at parties and luncheons. 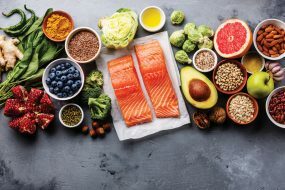 First came the 22nd annual Seabrook Men Who Cook, put on at Lakewood Yacht Club by Seabrook Rotary to benefit its foundation and the Seabrook Police Charities with hundreds joining the fun. 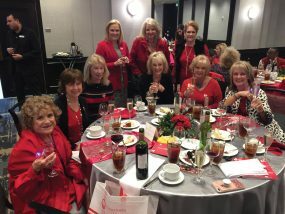 Next was the annual Go Red for Women Luncheon at South Shore Harbour Resort, where several hundred gathered – all dressed in red – to raise $160,000 for the American Heart Association and pick Dr. Safi Madain of Clear Lake Regional Medical Center as their 2016 Heart Throb. Tama Brantley and Darcy Whatley served as co-chairmen of the event. Still another big event was the Houston Symphony League Bay Area’s Day By the Bay Home Tour and its Pre-Tour Party in Brook Forest chaired by Martha and Ernie McWilliams, as the League continued its 40th anniversary celebration. And, that’s just a few of the events that kept us on the run! 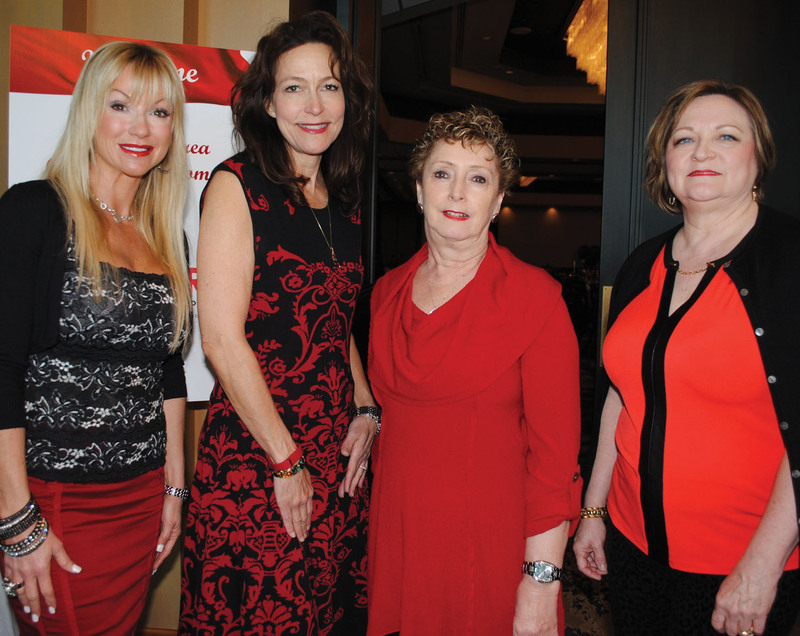 Kimberly Harding, Lauri Gordon, Susan White and Nancy Suarez, from left, were among several who spent many hours making the Go Red for Women event a big success. Retiring Nassau Bay Police Chief Joe Cashiola was honored at a farewell party at City Hall with hundreds of citizens dropping by. Former Mayor Don Matter, left, was among the many stopping by to wish the long-time chief and his wife well. 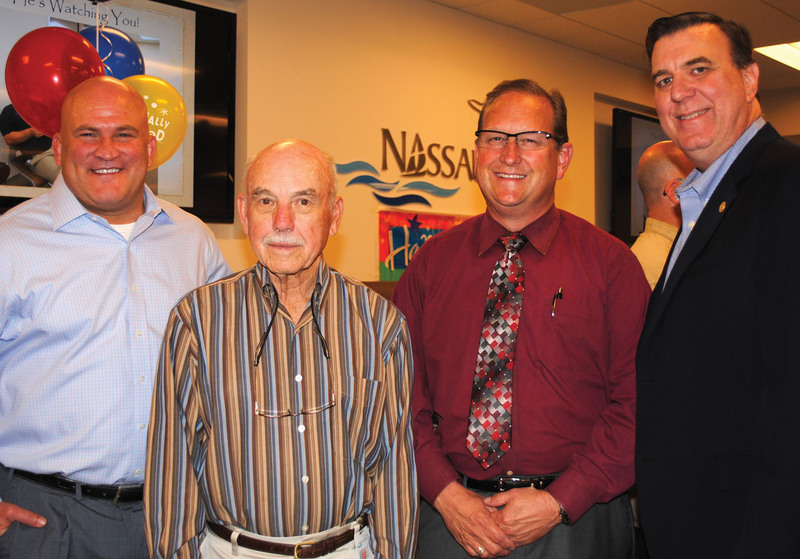 Former Nassau Bay City Manager Chris Reed, City Councilman Bob Warters, Constable Phil Sandlin and State Rep. Dennis Paul, from left, were among the hundreds who stopped by to say thank you to retiring Police Chief Joe Cashiola for his many years of work at farewell party the city hosted for him.